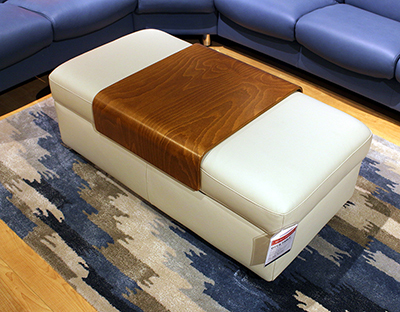 Shown in Paloma Light Grey Top-Grain Leather and Teak Finish Wood Tray. 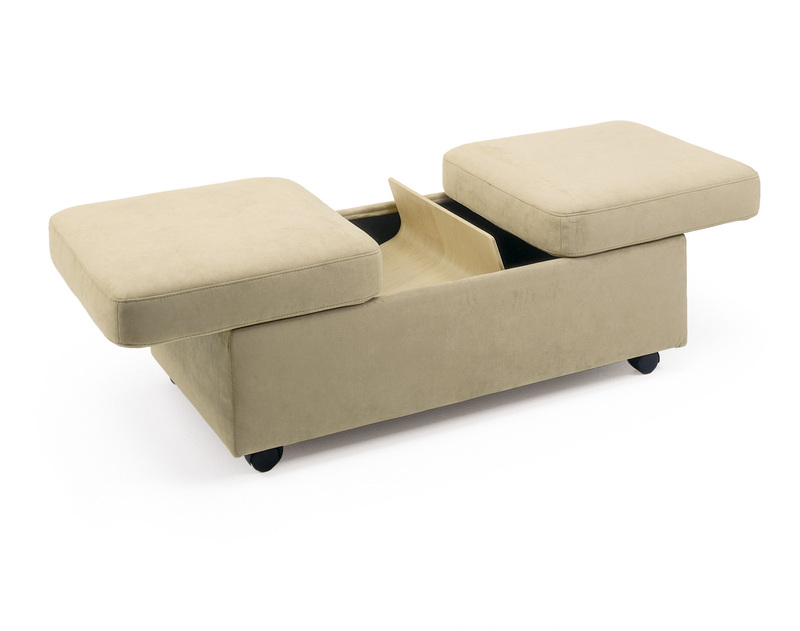 The Stressless Double Ottoman is the perfect accessory to your family room or home theater setup. 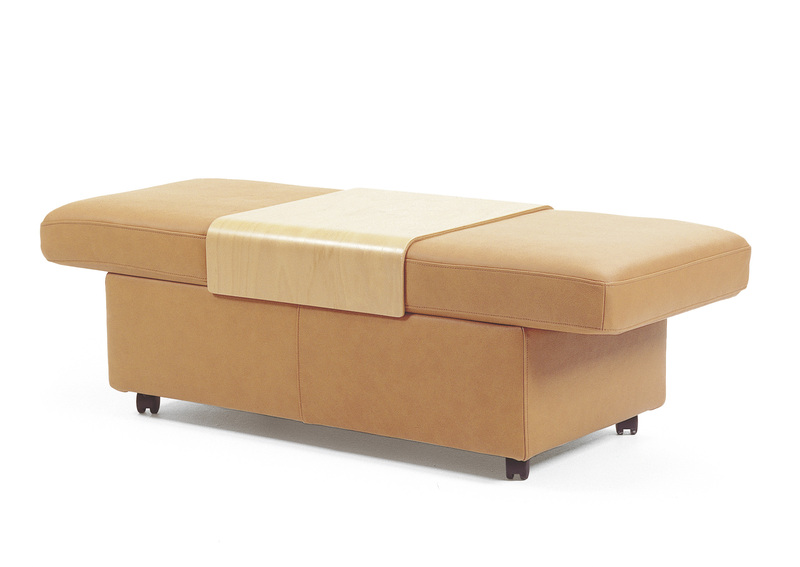 The Double Ottoman has plenty of legroom for two, plus ample storage space inside for all your living room extras.